Two authors have recently published books with the gambler in mind. Both are giants in their fields – Dr. David Schwartz, professor at the UNLV Center for Gaming Research; and Bob Nersesian, expert in gambling law. Well, he has done it again. This time writing about some of his back east roots in Boardwalk Playground. Boardwalk Playground shares a hundred stories of Atlantic City’s high spots and low points of the past century and a half, with an emphasis on the hospitality business that evolved into casino gaming—and is evolving again. 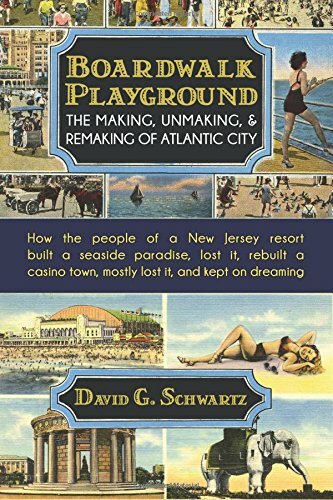 With sections on the city’s history, its classic hospitality, personalities, community institutions, and casino resorts, this book is essential reading for anyone who wants to know what gives Atlantic City its unexpected allure. The hundred stories of Boardwalk Playground show Atlantic City from its awakening as a tourist destination in the 1860s to its lowest point a century later, its gambling-fueled rebirth to its current crossroads. It provides a personal, thoughtful view into a city that continues to fascinate the world. Bob Nersesian has made a career out of suing casinos and their security for assault and battery on behalf of customers. The Law for Gamblers brings together decades of experience from the world’s pre-eminent gambler’s advocate, providing perspective gleaned from defending hundreds of casino-related criminal cases. 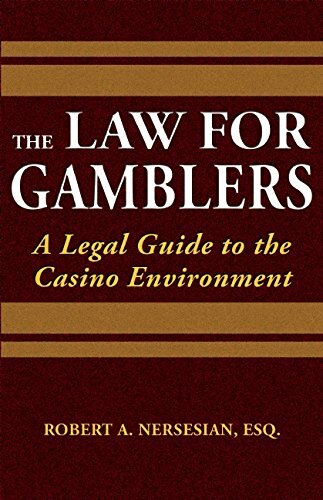 With detailed discussions of subjects that include gambler taxation, the use of aliases, Indian gaming rules, and casino credit, and even hiring an attorney when necessary, The Law for Gamblers provides anyone who sets foot in a casino easy access to understanding their rights. Additionally, the collection of case law and statutory points of view within is unparalleled in the rapidly expanding area of gaming law. These two resources will be both entertaining and valuable additions to any gambler’s library. Both are available at Amazon and as e-books. You’re welcome. Dr. Dave Schwartz books are always a great read! Thanks for these two tips.